Introduced alongside iPhone 6s and iOS 9 last year, Apple's Live Photos feature plays well with devices running iOS, but viewing the special format images on Mac has been a less than ideal experience. But that will soon change. When Apple released the OS X 10.11.4 beta to developers this week it quietly built in support for receiving and viewing Live Photos directly in Messages. Currently, OS X 10.11.2 strips out motion and sound data from iMessages containing Live Photo content, leaving only a single, static JPEG frame. 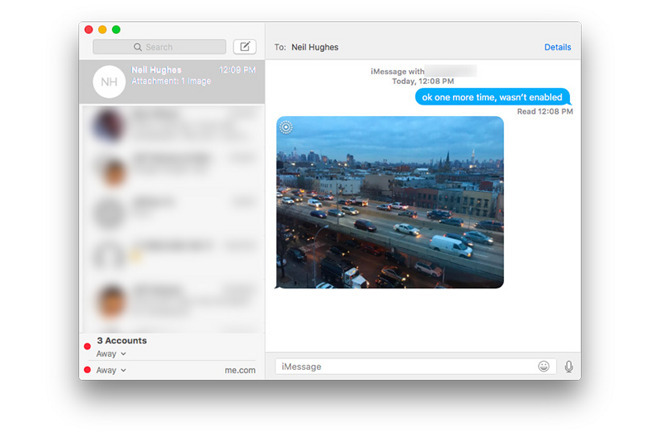 With the latest El Capitan beta, Live Photos show up in a Messages timeline just as it does on a device running iOS 9. A special icon —two concentric solid circles and one dotted outer ring —in the upper-left corner distinguishes a Live Photo from a regular still image, much like a video clip is marked with a central play button overlay. 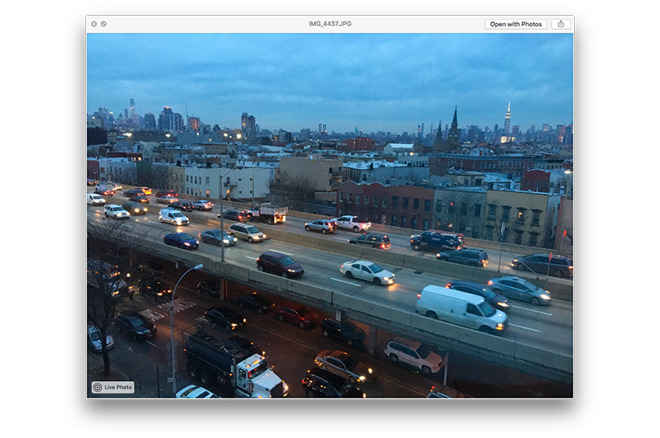 Double clicking a Live Photo brings up a preview window like the one seen above. Alternatively, image preview can be triggered by selecting an image and tapping the space bar. Clicking on the "Live Photo" icon at the bottom left of the open window begins playback, a touchpad substitute for 3D Touch on iPhone 6s. The preview window also contains a button to open the image in Photos for editing, which coincidentally is the only way to properly view a Live Photo in OS X 10.11.2. Only iPhone 6s and 6s Plus handsets can capture Live Photos, though other devices running iOS 9 are capable of viewing the resulting image files, whether sent via Messages, email or AirDrop. After its initial release last year, Apple updated Live Photos to intelligently sense when an iPhone is being raised and lowered, automatically trimming out unwanted footage. Apple's release schedule for OS X 10.11.4 is unclear, though daring Mac owners can download the public beta that was pushed out on Thursday.